Starting in 1978 General Motors downsized all intermediate sized cars due to the oil crisis. The Monte Carlo was completely restyled with a focus on fuel economy. It was almost 800 pounds lighter and over a foot shorter than the previous 1977 model yet had more interior and trunk space than the 1977 model. It also featured wrap around horizontal taillights to replace the previous horizontal taillight. It was only offered as a two door model and would stay that way until the end of production. Weight was at 3153 pounds with a length of 200.4”, width of 71.5”, and height of 53.9”. Engine choices were more economical with a 231 CID V6 Buick motor as the standard and a Chevy 305 CID V8 as an option. The standard transmission on the V6 was a three speed manual with the automatic as an option. The automatic transmission came standard on the optional V8 and all Landau models. An optional four speed standard transmission was available with the V8 engine (the first time a 4 speed was available on a Monte Carlo since 1971). 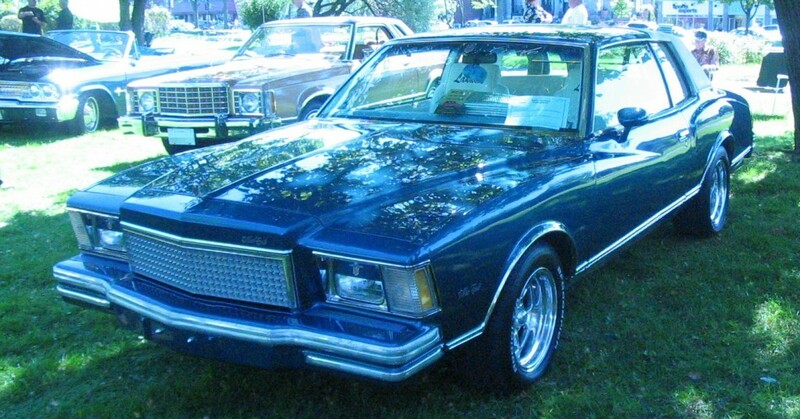 The front suspension on the 1978 Monte Carlo featured independent wishbone coil springs with live axle coil springs in the rear.